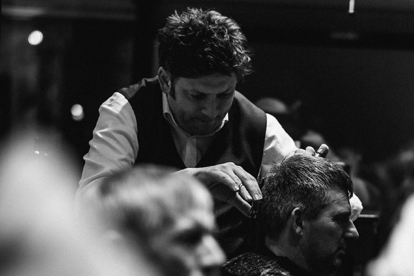 Ian’s hairdressing career began in 1991 and as the owner of attitude he brings to the salon a wealth of experience and knowledge. Ian is also one of the international ‘All Star’ team members, a privileged and much sought after position taking him all over the world as he participates in the American Crew runway hair shows and was the first ‘All Star’ in the company’s 15 year history to bring the award out of the America and into the UK. 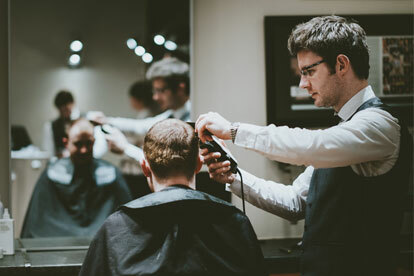 David’s career in men’s hairdressing began at the age of eighteen when he worked at his father’s barbershop in Liverpool city centre. 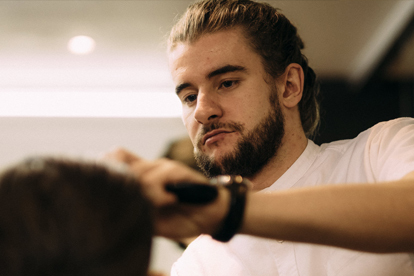 Whilst studying at college he met Ian who happened to be his tutor and after completing his course, applied for a job as a graduate in Ian’s first barbershop where he then worked for eight years before emigrating to continue his career in Australia. On his return to the UK David contacted Ian and the rest, as they say, is history. He now works as one of the top designers in the attitude team with a growing client base. 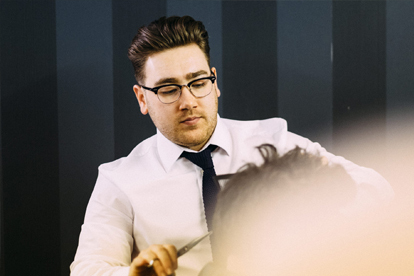 When not cutting hair himself he acts as part of the management team helping to develop the next generation of attitude’s hair designers. After serving his apprenticeship at Ian’s first Barber Shop he became a well respected member of the team. After 6 years of hard work he decided to spread his wings and go traveling. After just over 12 months in Australia he returned home and is now the Head Designer and Store manager at our Attitude Topman store. Andy has added his wealth of knowledge from his travels to his repertoire. Connor is a very enthusiastic part of the team and is worked through his training program while assisting Ian and the team back in 2012. Now a regular in the attitude team Connor works at our Topman store making the clients of Attitude feel welcome.